Looking for private in-home or in-studio Cello lessons? Our Catonsville teachers are ready to get you started. Find your teacher today! Hrant's interests range from the solo cello repertoire to chamber music, teaching, and orchestral playing. As a teacher he has been a faculty member at Yale School of Music, 92nd Y, Summertrios Music Festival, and has held master classes at Yale and the William Blount-Slawson Competition. He has recently performed with Mark Morris Dance Group, Houston Symphony, Montgomery Symphony Orchestra, Chris Botti’s Gala Concert at the Tilles Center. Hrant, together with violinist Benjamin Sung and pianist Jihye Chang are founding members of the Arsenal Trio. Their recent performances have been at the ClefWorks Chamber Music Festival, The University of Louisville New Music Festival, and Gregory Singer Concert Series in New York. Fellowship, Olga Koussevitzky, HAMS, and Hudson Valley. He is an extensive solo as well as chamber music performer who, has appeared frequently in venues such as Weill Recital Hall, Alice Tully Hall, Music Gettysburg, Banff Center for the Arts, and Orford Festival. Recently he has collaborated with artists such as Hans Graf, Carlos Prieto, Vladimir Ashkenazy, Zakhar Bron, Natalya Shakhovskaya, Franz Helmerson, Richard Watkins, and Hansjorg Schellenberger, and Oxana Yablonskaya. Born in Bulgaria, Hrant P. started the cello at the early under the guidance of his mother. His first recital was at the age of six. Two years later he gave his debut as a soloist performing C.P.E. Bach’s Cello Concerto. Hrant holds bachelor degrees from The Hochschulle fur Music in Wien, The Juilliard School, and received his Masters of Music from Yale School of Music where he studied with world renowned cellist Aldo Parisot. Recently, Hrant won a position with the Army Band, married pianist Tatjana P., and is the proud father of son Benjamin. I believe that every student has his/her own need because we are all unique as human beings, every one of us has their stronger and weaker skills and my job as a teacher is to find the best tool to pass to the given student. I am strict but fun, whichever amount the student needs more. I use the Suzuki books because the songs (and later pieces) in are very good, popular, fun, and evenly progressive. Achievements depend also on the student and the amount of practicing done at home. I as a teacher can only do that much in passing my knowledge and spur the student own. Practicing at home is very, very important. Wonderful teacher. Able to engage young cellists. Hrant is very patient and believes in building a strong basic foundation prior to proceeding. 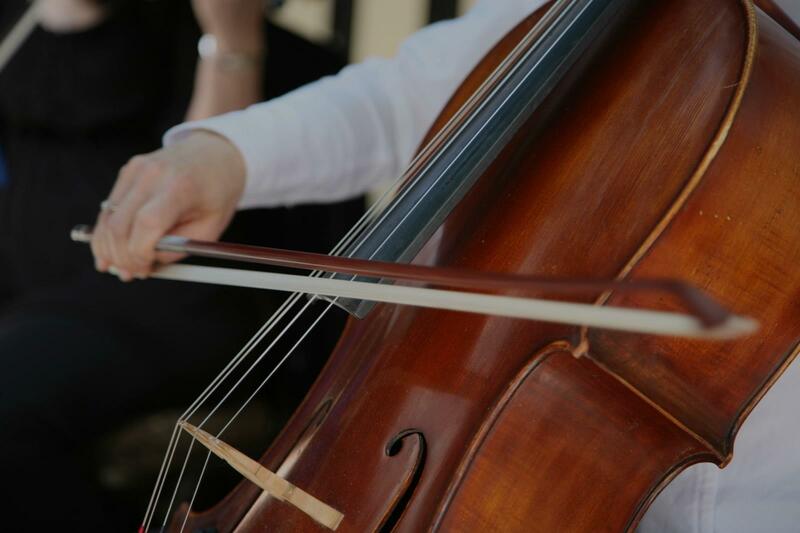 All cello lessons are taught as private, one-on-one music instruction in music studio. 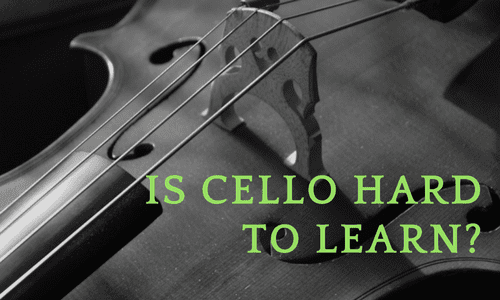 Cello lessons are tailored to each student by taking their goals, experience, and learning pace into consideration. For Intermediate students, lessons focus on performing repertoire from all musical periods. More advanced bow and left hand techniques such as spiccato, shifting, and vibrato will be covered, as well as advanced note reading, listening, and music theory. Jessica moved to the Chevy Chase/Bethesda area in 2009, having grown up and gone to school in New York and Ohio. She loves the area, and she and her husband are thrilled to be putting down roots in the community. As a performer, Jessica has traveled around the world, but throughout her career teaching has been one of her most important focuses. "As a relative newcomer to the DC area, growing my private studio has been a great way to get involved in the community. My teaching style is individualized, but I always try to include two important things: building a strong basic skill set, and developing creativity." In my view, the most interesting thing about performing music is that it is one of the few activities that engages both the left and the right brain at the same time. With that in mind, my teaching places equal importance on developing strong technique, and developing creativity. Students learn all the basics of music, and also spend time developing strong ensemble skills and strong background knowledge of style and repertoire, so that they can enjoy music in all kinds of settings, all their lives. Knowing from experience how "boring" it can be to learn by rote, I combine technical work with fun time playing duets together, improvising, and exploring a wide variety of styles and genres of music. After all, there is no experience so motivating as hearing a new piece that you HAVE to learn to play yourself! I expect piano students to have daily access to either a piano or a keyboard with 88 full-sized, weighted keys. Bass or cello students must have their own bass or cello. I had a great first lesson with Jessica. The lesson took place in a comfortable studio in her house. We discussed my goals and then reviewed where I am currently. She paid carefully attention to my body position with the bow and had several great suggestions on exercises to improve it. I'm already looking forward to the next lesson. I really enjoy taking piano lessons with Jessica. It had been 40 years since I took lessons (as a teenager). Jessica's manner as well as her knowledge and love of music is just what I was hoping to find in a teacher. Her ability to explain musical concepts and her thoughtful approach to teaching has far surpassed my expectations. She gives great constructive feedback and ensures that you understand what she is saying. She is very positive and patient. I thoroughly enjoy my lessons with her and recommend her strongly. We will work on left-hand and right-hand technique as well as music reading skills. Michael has been playing the bass professionally and teaching private lessons since 2001. He is currently available to teach lessons at his studio and your home. Michael has helped students of all ages and ability levels enjoy playing music. Michael received his Masters of Music degree and Performers Diploma in Double Bass at Indiana University in 2009. He also received a Bachelor of Music degree and a Bachelor of Music Education degres from the Florida State University in 2006. Michael currently plays with the Maryland Symphony Orchestra as Associate Principal Bass, Apollo Orchestra as a section member, and is an active free-lance musician throughout Baltimore and DC. As an expert in his field, Michael looks forward to helping new students achieve their goals. Perfect first session. Michael adapted to Rory's deep understanding of music theory but total lack of knowledge of the bass. He was thoughtful, patient, and adaptive introducing the bass and providing practice suggestions to Rory. I recommend Michael in the highest terms as an instructor for beginners and knowing his vast education and experience in the bass I must assume this travels though the entire range of students - beginner to advanced. We look forward to the next lesson. My first lesson with Michael was great! His teaching approach was relaxed and directive. I'm am looking forward future lessons with him. Great first lesson! Very nice and teaches fundamentals as well. My teaching goal is to create a trust and enjoyable learning environment for my students. I also believe in the importance of fundamentals. Everything builds on top of a good and solid foundation. With that being developed gradually in the process, students will eventually be able to explore the musicality aspect freely. I have been playing the cello for almost twenty years, and I have been giving cello lessons for the past five years. The age of my students ranges from 7 years old to 76 years old, and the level of playing also varies from a true beginner level to intermediate and advance levels. Prior to the first lesson, I always ask my students what their goals are for taking lessons with me. From there, I create a specific curriculum for the students. Everyone is different and we all respond differently to situations based on our age, personality, and past experience. I do my best to teach in a variety of ways according to each student’s needs and goals. dation. With that being developed gradually in the process, students will eventually be able to explore the musicality aspect freely. Native Taiwanese cellist Katy Chiang began her music journey ﬁrst on the piano at the age of six, and the cello when she was eight. She showed a talent in cello early in her studies and was a prize-winner of several competitions in Taiwan. Ms. Chiang received her Bachelor of Music degree in Cello Performance from the University of Maryland College Park with a full merit-based scholarship, studying under David Teie, Peter Wiley (Guarneri Quartet), and Evelyn Elsing. She continued her education by pursuing her Masters degree in Cello Performance at UMCP under Professor Eric Kutz’s guidance, and she received her Master of Music degree in 2018. Ms. Chiang performs with various ensembles in the DC and Baltimore areas. Her international performances include concerts in Italy, Slovenia, and Taiwan. Some of the cello and chamber masterclasses that she participated in were led by Peter Wiley and Michael Tree (members of the Guarneri Quartet), Amit Peled, Darrett Adkins, Kenneth Slowik, the Tempest Trio, Miami Quartet, and Quatuor Danel. In 2018, Ms. Chiang was awarded a full scholarship to attend the Wintergreen Music Festival in Virginia. In 2017, she received a generous scholarship to participate in the International Music Festival of the Adriatic in Duino, Italy. Ms. Chiang is also a passionate cello teacher, a freelance musician, and the cellist in the Fairmount String Quartet. Besides teaching privately, she is on cello faculty at Howard Community College in Columbia, Maryland. Working as a professional cellist for twelve years and soon to be cello performance graduate from University of Maryand Baltimore County, I am comfortable teaching all ages and experience levels. My teaching philosophy centers around developing a solid technical foundation as well as developing skills in ear training, sight reading and theory, but most importantly encouraging a creative and fun atmosphere and love for the cello. I have been performing professionally for ten years, and am working towards completing my undergraduate degree in cello performance from the University of Maryland Baltimore County. My teaching philosophy centers around a strong technical foundation, as well as ear training and theory. 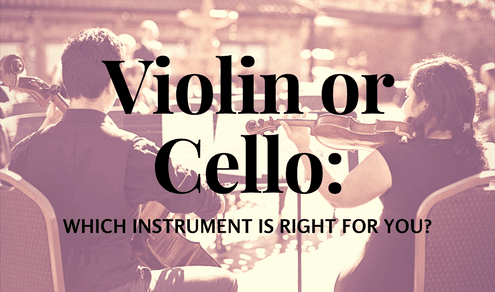 In addition, I believe in the importance of a creative learning environment that is tailored to accommodate the needs of each student, and inspires a love for the cello. Excellent teacher; very patient and thorough. Friendly and able to explain everything very well. Highly recommend! "Michael is very patient and at the same time very enthusiastic. As a new student who happens to be 63 years old, I'm having a blast!" Baltimore, MD teacher: Michael R.
"Excellent teacher; very patient and thorough. Friendly and able to explain everything very well. Highly recommend!" Baltimore, MD teacher: Michael B.